Whether you are looking for boots, sandals, pumps, or sneakers, finding the right pair of shoes can be a difficult challenge. With such a wide variety of women’s shoes on the market, it can be easy to get lost along the way and not know where to look. However, we have created an ultimate guide to finding the perfect shoe for you. Make sure that you take every factor listed below into account, so you can find the right shoe for any event that comes your way. You should get the length and width of your feet measured before you go on the quest of finding the right pair of shoes. There are plenty of shoe shops that you can visit. A trained member of staff will be able to measure your feet and point you in the right direction. You may also find that your feet are not symmetrical, which could mean having to buy a different size of shoe for each foot. This is why it’s important to get assistance before making your purchase. You could even measure your feet it at home by following this guide. You wouldn’t wear a pair of high heels to the beach, or a pair of cowboy boots to the gym. It’s important that you figure out what sorts of shoes are best for the occasion. The type of activities you do on a day to day basis should reflect in your footwear. For example, if you are going hiking, you should wear brogans or low-cut boots that can offer good ankle support. If you enjoy cold-weather outdoor activities, you should consider insulated and water-repellent boots. With every step we take, our feet carry a significant load. Over time (and without the right support), our feet can get worn out. It’s important that you invest in shoes that provide enough arch support. The arch of the foot is a mechanical marvel that has both the balancing mechanism and shock absorbent, keeping your foot supported. To maintain and keep your feet healthy, be wise when selecting footwear. Comfort should be your number one priority when it comes to finding the right footwear. While you might like the look of a pair of shoes, you may try them on and find they are uncomfortable within the first five minutes. You should consider the type of material the sole of the shoe is made from before making any snap decisions. Shoes that have soft soles are typically more comfortable and quieter than inflexible and stiff shoes. For those who like high heels, you should really consider the length of the heel before you buy a pair. 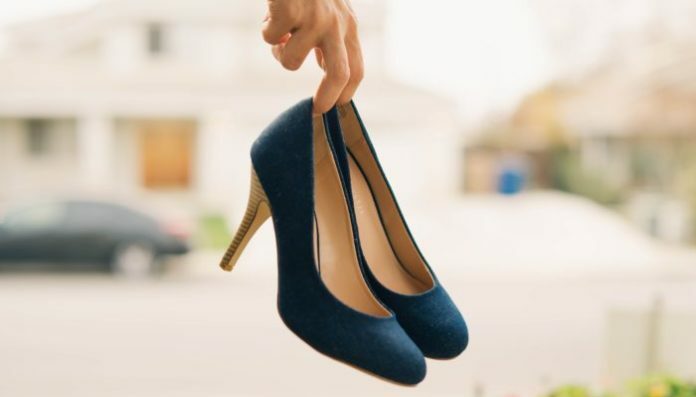 If you plan to wear heels for work, long hours of walking can take its toll and could be doing more harm than good for your health. You should also check the stability and balance of the heel before purchasing. The last thing you want is to fall over from an unsteady pair of heels, potentially breaking your ankle. This is why it’s essential that you test out your heels first. If heels aren’t your thing, there are plenty of sneakers and flats that you can check out. Just like with any pair of shoes, you should ensure that the material is soft and comfortable on your foot. This way you can get from A to B without any discomfort. You may not realize it, but there are plenty of high-end fashion brands that provide stylish flat shoes, such as Gucci Sneakers. Many online stores such as SSENSE have a wide array of trendy, fashionable and comfortable footwear options for all occasions. If you are purchasing shoes in person, it’s always best to try them on first. While you may be initially drawn to the design and look of a shoe, trying them on is another story. Give yourself five minutes to get adjusted to the shoe and if you notice any discomfort, it’s best to swap them for another pair. Make sure to wiggle your toes to ensure you have sufficient space in the shoe, avoiding your feet becoming cramped. Only you will know what’s right for you, so aim for shoes that you feel comfortable in, rather than what is in fashion now. We all have different styles so, as they say, one size really doesn’t fit all. Therefore, you need to spend time looking at the variety of styles that are available. You will want to find a pair of shoes that you feel comfortable in. Make sure to test them out first and if you experience any discomfort or blistering, it’s best to find something new.